Selling Scary: ‘Wish Upon’ gives us its first trailer and a spooky campaign. 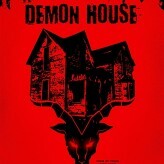 What sets a horror film apart from all the others? A great trailer for one. But an added element for young fans to play with while waiting for said anticipated film? There’s your winner. Here is the trailer and new site for Wish Upon. Review- “Don’t Knock Twice” brings women face to face with ancient evil. The man with a hook for a hand, Bloody Mary, Slenderman… why do we mess with urban legends? Is it to scare ourselves or perhaps someone else. We should know better than to test fate at this point, but we don’t. In the new film Don’t Knock Twice, a troubled young girl wrangles her estranged mother into fighting a battle they may not be able to win. Taking a bite out of 2017 with… Shark horror? Looking towards the new year, we know films come in theme rotation. 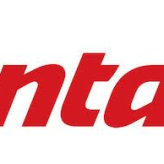 What’s the new trend besides reboots in the next 2 years? It sounds fishy to me. Review: “SiREN” sings a familiar tune. Some of the most successful films began as a brilliant short. Alive in Joburg became District 9. Within The Woods became The Evil Dead. 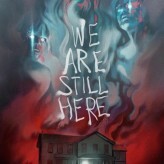 This time around, a short segment within V/H/S gets its own feature length film. Can SiREN lure in the same audience it did in 2012? 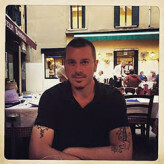 1 Filmmaker, 3 Films- An introduction to Steve Balderson and HELL TOWN. Steve Balderson has been making successful indie films for years, so why isn’t his name a household one? We’ll be introducing you to Steve in a series of reviews. From Kansas to Hollywood, this filmmaker is making movies his own way. 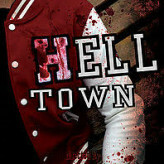 Today we talk about Hell Town, now available on VOD. New Trailer: ‘BLAIR WITCH’ a sequel? There was one movie responsible for starting the “found footage” phenomenon. Since then we’ve seen films like REC, Quarantine, V/H/S, and the Paranormal Activity franchise explode. Can anything live up the original? A new trailer might change your mind. 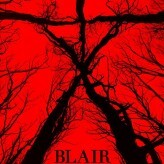 Ladies and gentlemen, Blair Witch. Tastes Great, Less Filling? Mark of the Witch, with a clever release date of 6/6/16, is a glorious feast for the eyes but otherwise left me feeling empty. Find out why in the latest review. As we remember those who fight for our freedom on this sweltering Memorial Day, horror fans may be sitting inside with the AC blasting looking for something to feast upon to beat the heat. 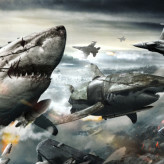 Here are 5 suggestions for a Memorial Day Monster Movie Marathon all available on Netflix. 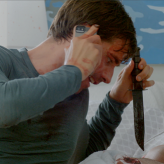 ‘You’re Killing Me’ brings laughs, gore, and a much needed sub-genre. Unapologetically self-involved dialogue and killing go hand in hand with a brand new indie titled, “You’re Killing Me”. The name, you’ll come to discover, is a double entendre. 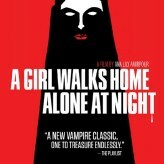 We welcome the arrival of this gay horror-comedy in all it’s glory. 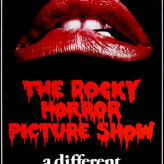 ‘The Rocky Horror Picture Show’ film is 40 this year! “Let’s Do The Time Warp Again!” My Halloween tradition! A day late but never a boa short. Let’s do a refresh on how incredible this horror-comedy-musical still is today. Sunday Bloody Sunday: Start your October off with some extra GRAVY. Add a little extra GRAVY to your holidays with some oozing gore and plenty of funny from this new Scream Factory release. Did someone order a platter of stars with a side order of practical effects? 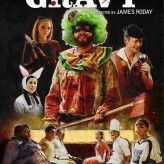 GRAVY is filled with tricks and treats for everyone in this Sunday Bloody Sunday review. New York Film Festival 53: Shorts Program Horror Genre is a new addition we can get behind. 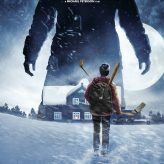 In it’s 53rd year, The New York Film Festival has chosen to add an entire Shorts Program in the “Horror” genre. Alongside “Animation”, “International,” and the “New York” categories, this year’s horror shorts were all completely different and ripe for the viewing. We hope this trend sticks around from here on out. Comedy and horror oftentimes go hand in hand. 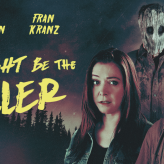 A new release, starring Whedonverse favorite, Fran Kranz, brings the giggles and the gore. 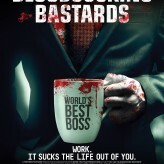 One month and counting until BLOODSUCKING BASTARDS hits theaters and VOD.